While I am happy with where I currently work, this was an eye-opening experience for me. I discovered that over 200 CEOs and Recruiters from Utah, California, New York and other cities all over the world were viewing my content. As you can imagine, this is extremely beneficial. The networking opportunities here are huge, and I’m now connected with people that I never would have had the chance to meet if it were not for LinkedIn. To start, know that this is not a comprehensive list. If followed, though, these tips are sure to increase the amount of views and engagement you get. LinkedIn is very different from Facebook and Instagram, but it is treated the same by many people. There’s one thing in particular I consistently see on LinkedIn that may work on other platforms, but fails here. It’s when people simply post a link to an article with the post text matching the article title exactly. As you can imagine, there is never any engagement on these posts because they come off as spammy (and maybe even a little lazy). That’s the thing about LinkedIn. The demographic is completely different than it is on Facebook or Instagram. A large majority of users are seasoned, industry professionals. At one point, they may have posted spammy content themselves, so they’re not easily fooled. Again, like I mentioned before, one of my posts reached over 200 CEOs. If you knew that your content was about to be shared with 200 CEOs, how much work would you put into it? If there’s one thing that has really resonated with me on LinkedIn, it’s how far people get if they just allow themselves to open up and be vulnerable. People on LinkedIn love reading personal stories and insights. Rather than being told what they already know, they want to discover a fresh perspective and learn new ways of doing things. I’m becoming much more involved on LinkedIn because of this phenomenon. On LinkedIn, people are extremely supportive. For a time, I stopped using other Social Media platforms because I witnessed a lot of negativity over things that didn’t really seem to matter. On a professional networking site like LinkedIn, though, that doesn’t happen (as much). Encourage collaboration by asking great questions and you’ll find that many people are willing to pitch in. 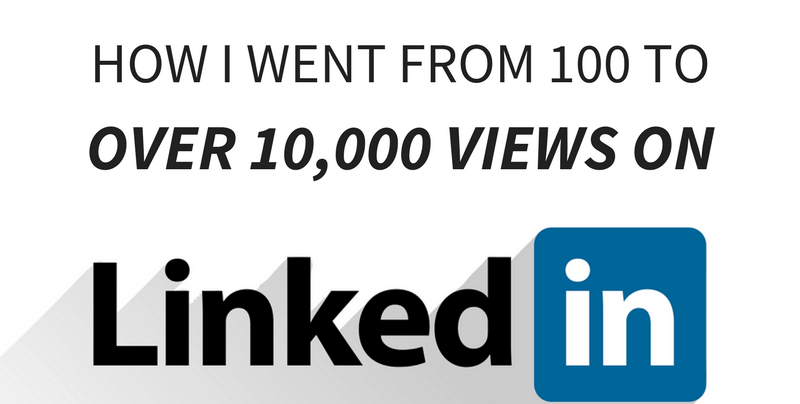 Have you ever noticed this overwhelmingly popular trend on LinkedIn? Where people feel the need to space out each sentence? To some, it comes off as annoying. We’re taught growing up that you need X amount of sentences per paragraph. That holds true on paper, but doesn’t translate to the digital world very well. People scrolling through LinkedIn, especially, want to digest new information but can become overwhelmed by huge paragraphs. That’s why having bite-sized sentences like this are so effective. It’s easy to digest quickly, keeps people entertained, and motivates them to click “See More” if you have the right hook. This list is just the start! As mentioned above, we love collaborating with others. We will continue to add to this list as we get feedback from the LinkedIn community, so stay tuned!